On average, about 30 alcohol-related traffic accidents occur each day in Pennsylvania. Local and state law enforcement officials work to prevent these types of crashes before they happen by regularly citing motorists for driving under the influence as well as other alcohol-related charges. Those convicted of driving under the influence, furnishing alcohol to minors, or violating PA's Social Host Law put lives at risk and can face fines and even jail time. Although drivers may remember a few of PA's Drunk Driving Laws from a past Driver's Education course, some of the specific statutes may surprise you. The legal limit for PA drivers can be lower than .08. Different types of drivers are considered to be legally drunk at different blood alcohol levels. Non-commercial drivers age 21+ are considered to be legally drunk when their blood alcohol concentration (BAC) is .08 or more. However, drivers with greater responsibilities behind the wheel can be charged with a DUI at blood alcohol levels measuring much lower than .08. Drivers of commercial vehicles can get a DUI with a BAC of .04. In PA, drivers of commercial vehicles are considered to be legally drunk when their blood alcohol concentration is .04. Commercial vehicles typically transport goods, equipment, or paid passengers, and tend to be much larger than standard motor vehicles—if involved in an accident, they could cause significant damage. The legal limit for school bus drivers is .02. School bus drivers have many childrens' lives in their hands each day. Therefore, these drivers are considered legally drunk when their blood alcohol level is .02 or more. Those under 21 are also subject to a lower legal limit. Because it is against the law for minors to drink alcohol, those under 21 must also adhere to an extremely low legal limit. A driver under the age of 21 can be charged with a DUI if their blood alcohol level measures .02 or more. You don't have to be driving a car to get a DUI. Anything motorized is subject to the law. It's possible to be charged with a DUI if you are intoxicated and driving or operating an ATV, boat, golf cart, or any other vehicle with a motor. There have even been reports of individuals receiving citations for drinking excessively while operating riding lawnmowers. You can get a DUI even if the engine or motor of your vehicle is turned off. A vehicle that's not humming won't prevent law enforcement from coming. The official PA Vehicle Code maintains that "an individual may not drive, operate, or be in actual physical control of the movement of a vehicle after imbibing a sufficient amount of alcohol." Anyone sitting behind the wheel of a vehicle is considered to be "in actual physical control" and can be charged with a DUI if they are above the legal limit. This law applies even if the vehicle is not currently running. Passing out in your car could cost you more than just a good night's sleep. Drivers don't have to be awake to be charged with driving under the influence. Law enforcement officials can charge any intoxicated person behind the wheel of a car with a DUI, even if that person is passed out in the driver's seat. This again relates to PA's distinction that an intoxicated driver may not be "in actual physical control of the movement of a vehicle." Any driver who is responsible enough to avoid driving home after drinking, should also arrange alternate transportation home. They should never rely on their vehicle as a safe place to crash post-party. If a minor gets a DUI, the person who provided them with alcohol could also face charges. Under Pennsylvania criminal law, a person who furnishes alcohol to a minor commits a third degree misdemeanor. A third degree misdemeanor is punishable by up to one year in prison and a fine of up to $2,500. Under this law, a first violation requires a minimum fine of $1,000. For subsequent violations, the minimum fine is $2,500. This law has also been applied to parents who allow their children to drink at home. Party hosts can be held responsible for damage caused by intoxicated, underage guests. In Pennsylvania, adults who serve alcohol at private functions are "social hosts." If a social host serves alcohol to a minor and the minor is injured or the minor injures someone else because of intoxication, the social host may be liable to pay money damages to the injured person. Social host liability only applies to adults who serve alcohol to minors. 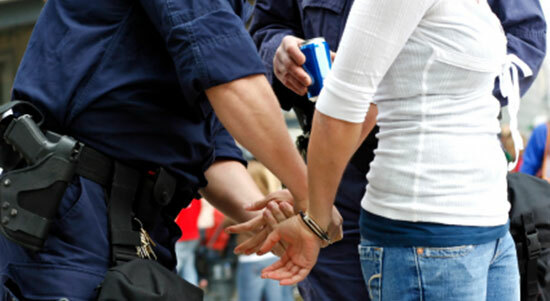 Pennsylvania law holds that adults are responsible for the consequences of their own drinking. Take our Safe Driving Pledge. Share our Drunk Driving Infographic. Share our Social Host Infographic. Learn the truth about teens and alcohol with our underage drinking statistics. Take the Drunk Driving Quiz. Check out this year's winners of our "Words to Be Heard" Scholarship Contest. Learn more about our drunk driving prevention efforts. Source: “The Vehicle Code Chapter 38: Driving After Imbibing Alcohol or Utilizing Drugs.” Dmv.state.pa.us.